10-CD Box (LP-Format) mit 108-seitigem gebundenem Buch, 286 Einzeltitel, Spieldauer 711:25 Minuten. 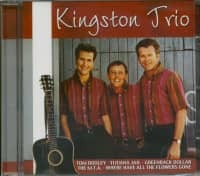 The Kingston Trio rose to the top of the pop charts in 1958 with the multi-million seller Tom Dooley, and soon had several #1 gold albums to their credit. 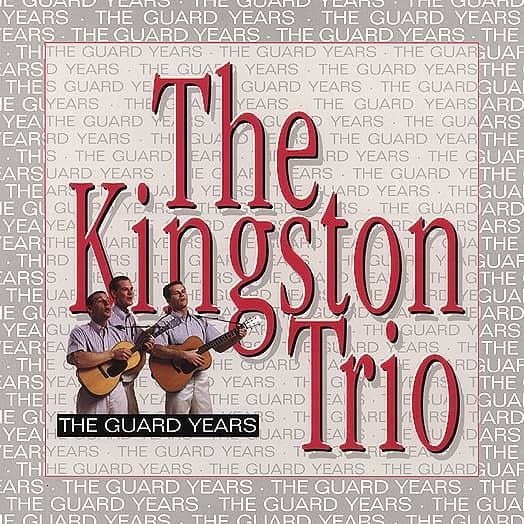 Their first three years at Capitol Records is captured on 'The Kingston Trio: The Guard Years,' a 10-CD collection that preceded the one you are holding in your hands. 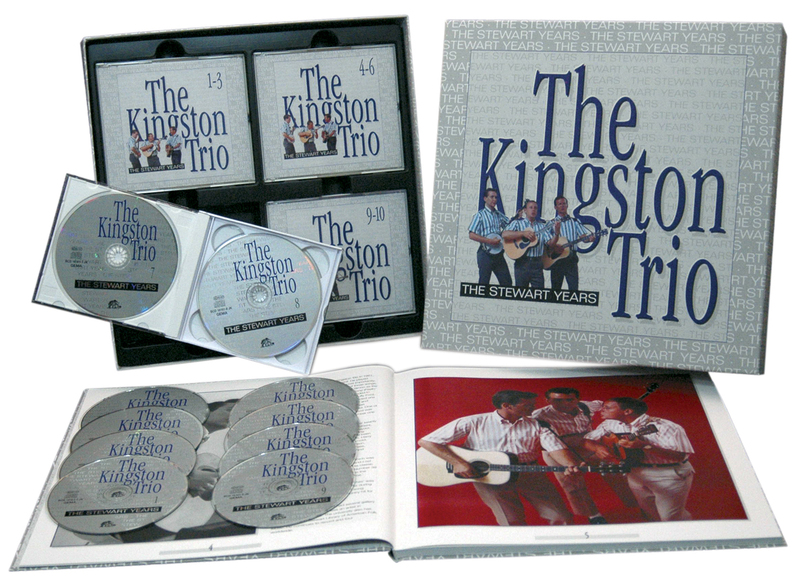 As the title implies, 'The Kingston Trio: The Stewart Years' chronicles the group's recording history from August of 1961 to September of 1966, when the group consisted of original members Nick Reynolds and Bob Shane, and John Stewart, who replaced original member Dave Guard in the summer of 1961. 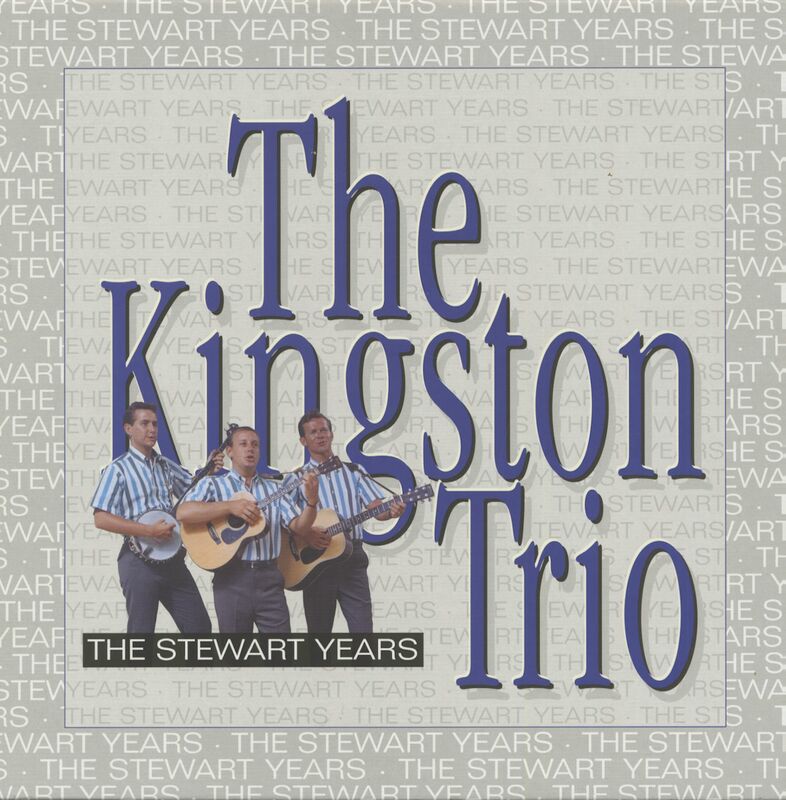 John Stewart had been a fan and contributing composer. When Dave Guard resigned, Nick Reynolds, Bob Shane, and group manager Frank Werber asked John to audition for the open spot. He was the perfect replacement for Dave Guard, and the perfect fit with Nick Reynolds and Bob Shane to continue the Kingston Trio's legacy as the most successful exponent of popular commercial folk music of all time. 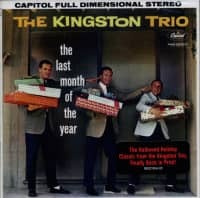 This 10-CD collection (the second of three) assembles all of the Nick Reynolds/Bob Shane/John Stewart Kington Trio's Capitol and Decca recordings for the first time. 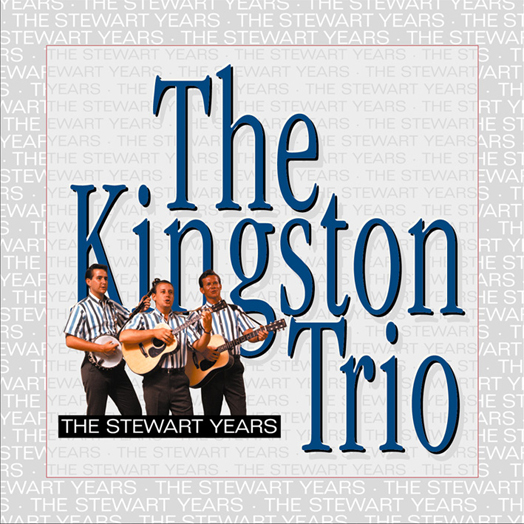 It includes such classic hits as Greenback Dollar, Reverend Mr. Black, Desert Pete, and Where Have All The Flowers Gone?, along with many previously unreleased songs and unheard alternative versions (including their 1962 Grammy nominated album Something Special in its original form, without orchestral overdubbing). 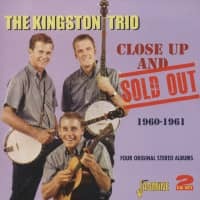 It also includes their 1962 concert at the Hollywood Bowl, as well as their 1966 live 'farewell' concert, Once Upon A Time. 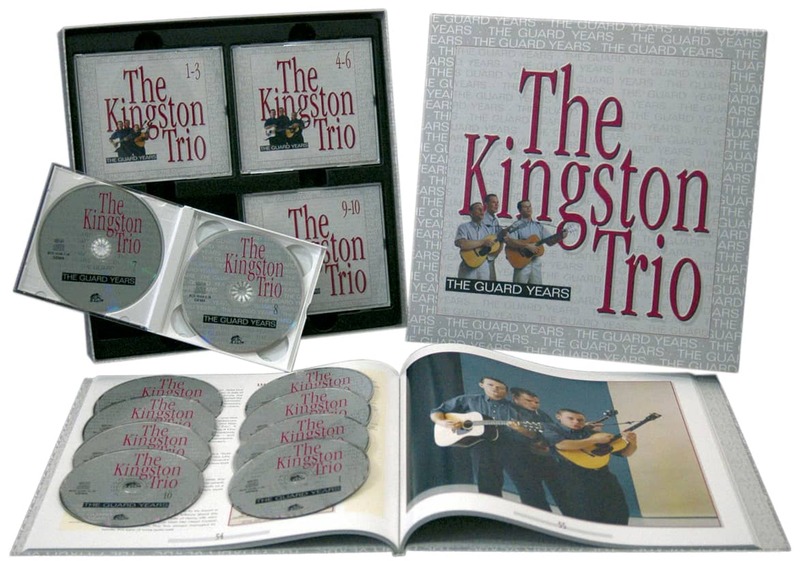 The accompanying 108 - page-hardcover book contains rare photos from the Trio's personal collection, along with a history of the group by Bill Bush, song-by-song notes by Ben Blake, and a complete discography. 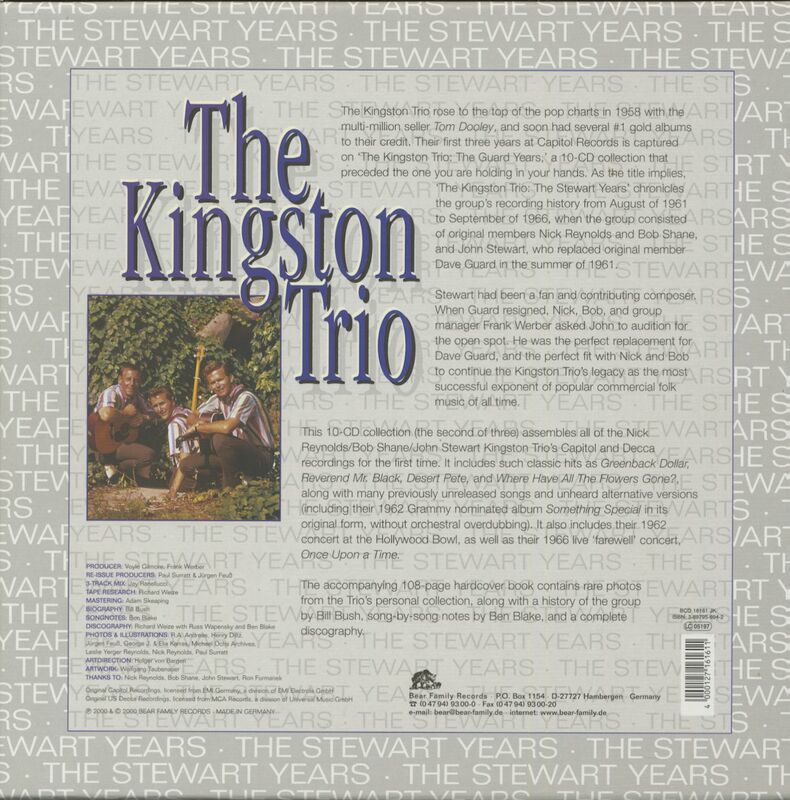 Customer evaluation for "The Stewart Years (10-CD Box Set)"